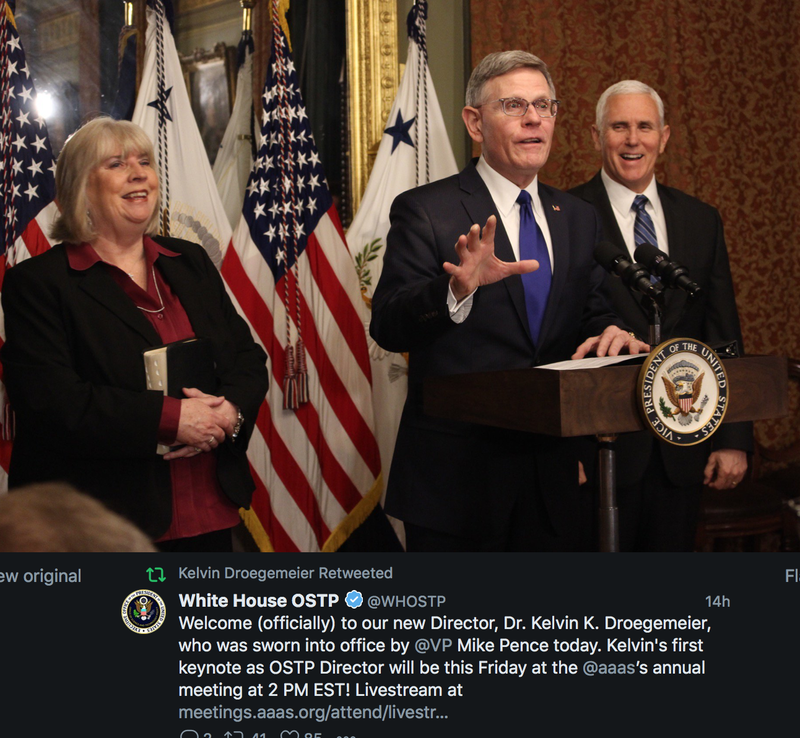 Dr. Kelvin Droegemeier has been sworn in as White House Science Advisor. I can't think of a better person for the job. He was sworn yesterday in by Vice President Pence. Congratulations, Kelvin! !